Maine Craft Weekend is THIS WEEKEND! 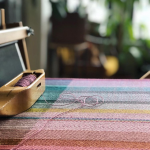 Maine Craft Weekend, a statewide tour of Maine craft studios, breweries, businesses and events is an opportunity for the public to explore the life and work of craft artists throughout Maine. Maine Craft Weekend 2017 takes place October 14 + 15, 2017. Most locations are open 10am-4pm, but check individual listings for special hours, as well as, many locations offering events before the weekend begins or during the evenings! 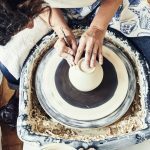 Visit the Maine Craft Weekend website to find events in each region of the state, plan a route that includes your friends’ studios, town-wide events, off-the-beaten-path new hot spots and creative-multi artist events… there is so much going on you should start planning and plotting now! Maine Craft Weekend is an annual event produced by the Maine Crafts Association with event partner, Maine Made and many amazing sponsors. The Weekend began in 2013 as a way to connect the public with craft artists in their own unique studios and communities.